The release of our New Jersey Babies Count was a culmination of an amazing journey by ACNJ and by me personally. It was a long time coming! ACNJ is celebrating its 40th anniversary this year. When we were founded in 1978, our focus was on children in the child welfare and juvenile justice systems. It wasn’t until the late 1990’s that we began to think about expanding our agenda to advocate for children at an earlier time before problems became a crisis. 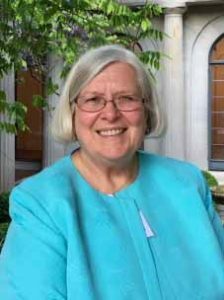 I still remember the formal decision that the ACNJ board of trustees made to use our resources – both human and capital – to advocate for the health and development of young children. We started our work with preschool. I feel privileged to have been part of the Abbott story, helping to create high quality preschool for 3 and 4 year olds in disadvantaged communities. ACNJ believed that this was the beginning of our work, not the end. We knew that learning didn’t begin at age 3, but much earlier – even before birth – and we were committed to developing an advocacy agenda for the very youngest children. It took a while, but we have finally gotten back to that commitment we made years ago. In the meantime, we have learned so much more about what is needed for healthy growth and development, starting prenatally. We know more about the importance of supporting parents of young children and how best to do that. We understand the need for early health care – not just physical but mental and dental, too. We realize that child care does more than help parents work – it is a child’s first educational opportunity outside the family. And we’ve also learned about the lifelong impact on children when those early years are fraught with poverty and trauma. 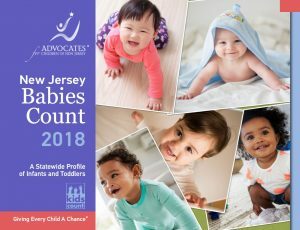 This is the purpose of Babies Count: to provide a clear picture, based on objective data, of how babies are doing in NJ – what we are doing well to support their healthy growth and development and what still needs to be improved. We want Babies Count to provide a roadmap for success and a benchmark to measure our progress. As you will see in the data, the picture is not all positive. But I am hopeful, because we have already made a start. There are model programs to help young children and their families, like home visitation and Early Head Start. Our new governor and administration are committed to children and families. While Babies Count was in production, Governor Murphy announced a $4.7 million initiative to address black infant mortality, one of the most troubling indicators in our report. There are remarkable funders who are committed to the early years: the Nicholson Foundation and The Turrell Fund. They have invested for the long term and are working together in exciting ways. And we have the opportunity to advocate on the state and federal levels in new campaigns with wonderful partners: Right From The Start NJ and our partner, the Caucus Educational Corp., and Think Babies with Zero to Three (ZTT). Over the last few months, I’ve spent a lot of time with babies. I saw babies from every state at the national ZTT national Strolling Thunder event in Washington in early May. I was there with my son-in-law and grandchildren, who represented New Jersey on Capitol Hill. Later in May, ACNJ held its own Strolling Thunder day, bringing 150 babies and their families to the State House in Trenton. Many of you were there to join in that remarkable day. And our office was filled with babies last week for our first advocacy training for the Strolling Thunder parents. I don’t think I’ve ever seen so many babies all at once! I was struck by the differences in personality, size and development. But I was also very aware of what they had in common. All were at a critical time of growth and development. Just like the beautiful babies on the cover of Babies Count, these babies are at a critical moment in time – the time when everything is possible, when their potential is endless, when the future ahead is filled with opportunity. It is our job – as advocates, as parents and as a society – to do all that we can do to make sure that their potential is realized, that possibility becomes reality, that they grow up to be healthy, happy, productive adults. Isn’t that what we all want for our children and grandchildren? So the release of the report is about possibility. Find out the state of babies in NJ Babies Count and then partner with us as we carry out our campaign for our youngest children.